I was very excited when Trump won the election, hoping it would be a turning point in the war with Islam. Which up till then had pretty much been a one sided war. As Islam has been at war with non-Muslims for 1400 years. Live Tonight! Logan’s Warning on the America Akbar Show! The Truth Will be Spoken! Hello friends! Tonight I will be making a return appearance on the America Akbar Show. With the bringers of truth, Gadi Adleman and his partner “in crime” Dee the Crimson Warrior! Thursday: Logan’s Warning Live on the Vito and Vito AM Radio Show! 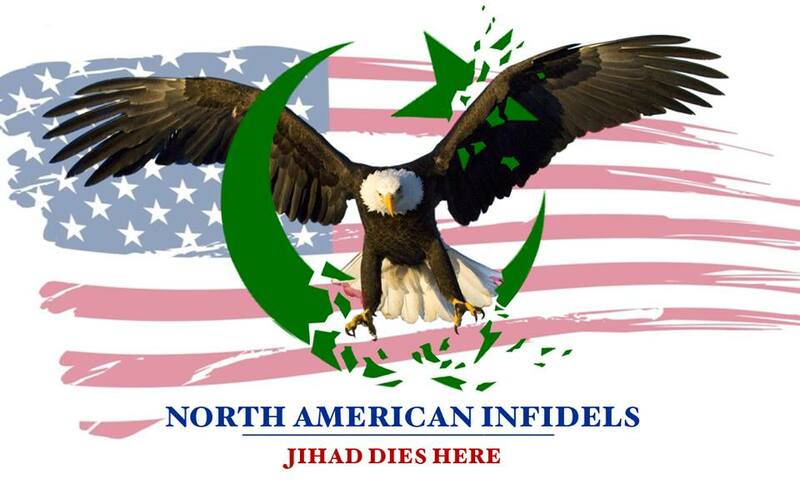 If you are a follower of the North American Infidels’ Twitter page, you probably know that we pride ourselves on being the nation’s most assertive anti-Islam organization in the country. And apparently that is want the public wants, as we just set a record high of over 1 million views this past month! Saturday Night Live! Logan’s Warning on Syndicated Radio! by admin • May 30, 2015 • Comments Off on Saturday Night Live! Logan’s Warning on Syndicated Radio! Let’s fact it, when it comes to Islam the mainstream media is just not getting it done.﻿ For whatever reasons, they will not come clean with the public on this issue, and as I have stated over and over and over, if we do not win the information war with Islam,﻿ we will not be able to defeat it. Video Replay of my Interview on the Tom Trento Radio Show! Hello fellow infidels! About an hour ago I finished my spot on the Tom Trento Radio Show. Besides saying what needed to be said, I have to say that I had a really good time on the show and would like to thank Tom, CJ, and Mark for having me on. In case you missed it, here is the podcast. I come on approximately an hour an a half into it, but I suggest that you sit back and enjoy the entire show. Tom and his crew do an excellent job of getting out vital information, while mixing it up with some laughs! CONFIRMED: Logan’s Warning to be a Guest on Tom Trento’s Radio Show ~ 02/06/13!